Web Desk: An 18-year-old Malaysian Zhang Daming was found on January 6 after missing in Singapore for 10 days. According to World of Buzz, he was found on Haig Road, Singapore, after a member of the public noticed him as the reported missing person. Intending to look for work, he stayed with a friend in Singapore after renting a room from him. On the day of his disappearance, 26 December 2018, his friend had given him SGD50 (approx. RM152) before leaving for work, as Zhang only had ringgit notes on hand. “I walked to a nearby café for lunch, but I couldn’t find my way back to my friend’s apartment,” he recounted. Over the next 10 days, Zhang would wander around lost, walking 12 hours each day to try to find his friend’s apartment. “The first 24 hours, I didn’t dare to sleep. I walked from morning to dawn,” he said. He would use restrooms in malls and restaurants, having to sleep outside apartment buildings at night. Eating economy rice daily, he used up the last of his SGD50 on the 8th day. “I spent the next two days begging from strangers,” Zhang revealed. “I was starving and dehydrated, so I forced myself to beg. I only approached six to seven people in those two days,” he added. 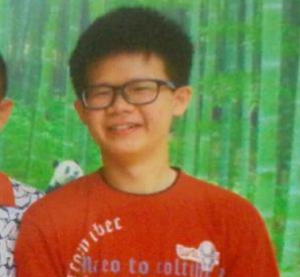 Zhang was finally recovered in a playground 6km from his friend’s apartment eNanyang reported. He has since returned to Malaysia by bus. He has also stated that he will not be visiting Singapore for a while after this experience.